Buyers are canny people. They watch their pennies and expect to get value for their money. 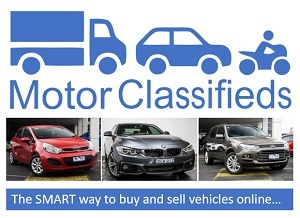 Carmakers know this and are falling over themselves to tempt you with their tasty titbits. 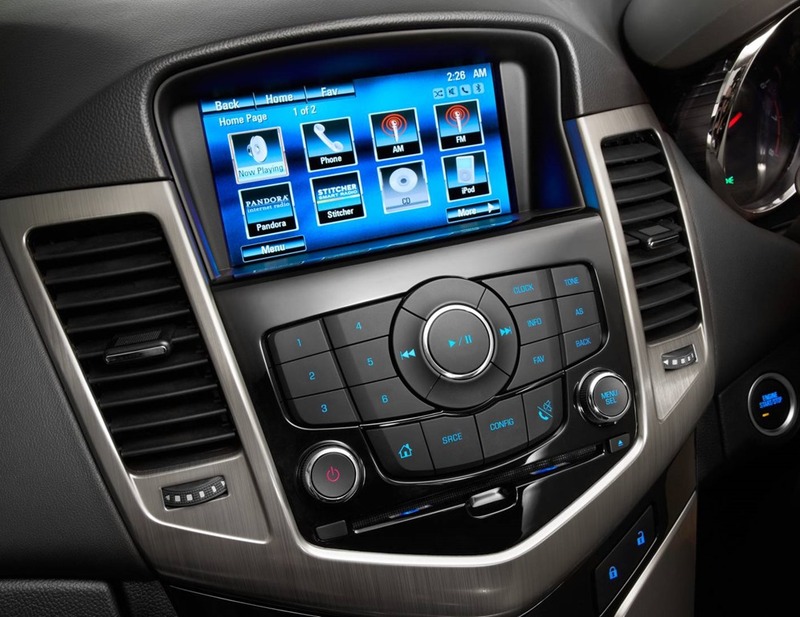 Bluetooth is no longer a luxury, but that which is expected if a car is to stand half a chance. 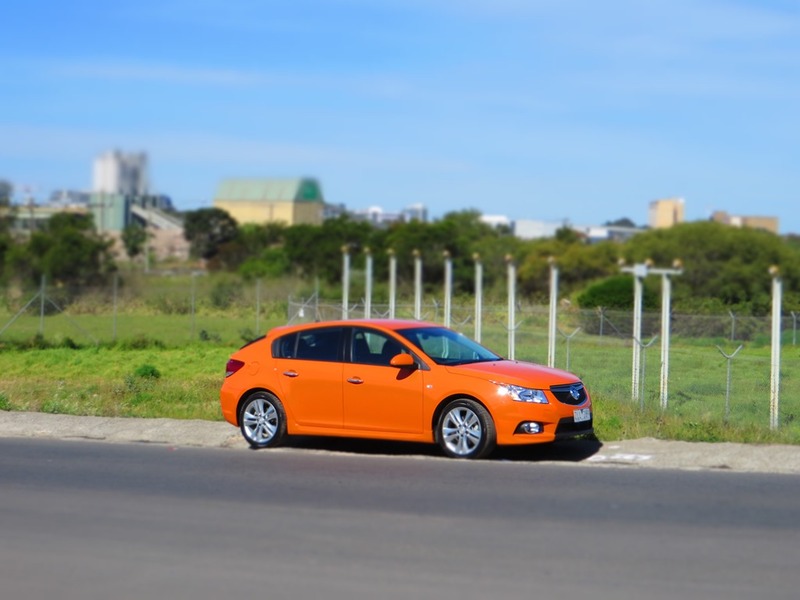 Holden has no doubt been keeping a careful eye on its arch rival, Ford, who is pulling up stumps in a year or 4. They will no longer build cars in this great country of ours because they say their costs are too high. Interesting, because they are selling the same cars in the USA for half of the price of Australian models regardless of where they are made. 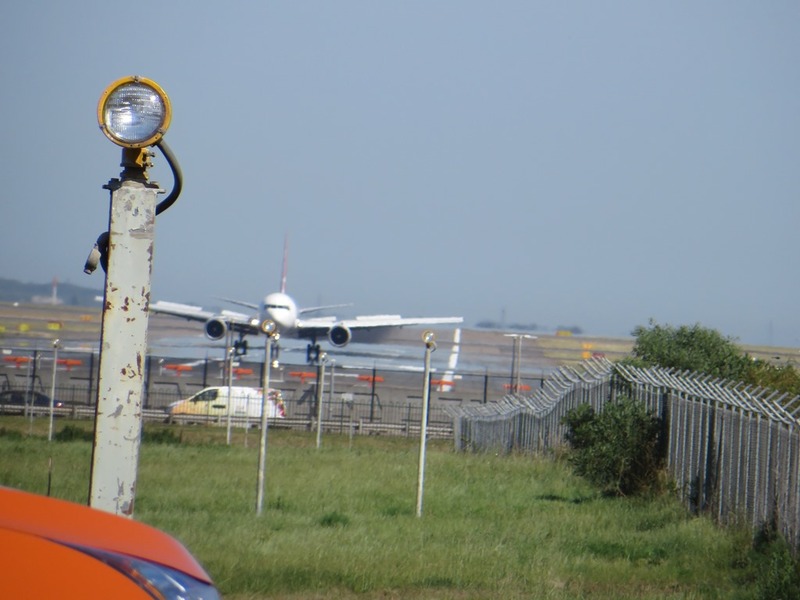 The manufacturing excuse doesn’t hold up under even the most cursory of inspections. But I digress: Holden wants to stay here and wants to employ Australians. It behoves us all to keep that in mind. To that end we took a Cruze for a quick thrash. We drove last year’s offering here and found it ok but it was lacking in some areas. The steering wasn’t quite right and the keyless start was a rectangular button set at a jaunty angle in order to sandwich it in a limited space. There were no auto wipers and the infotainment system wasn’t quite up to snuff but the biggest problem was the engine. It had the 1.4 turbo which is fine but at this price lagged behind the opposition. I said then that it needed much more power and as if by magic, Holden obliged. The latest SRiV feels a totally different car. The steering has a different feel and the new auto is very sharp. In fact I could have sworn it was one of those new-fangled double clutch jobs. The changes were crisp and sharp though I can’t say I noticed too much difference in sports mode. If I could offer a small piece of wisdom to Holden, it would be this: ditch that awful shifter and put something classy in. The gear knob felt cheap and lightweight and ruined the interior. The movement felt imprecise as if it was from a 20 year old banger. For contrast I tried the Ford Focus and there is simply no comparison in either feel or look. The manual remains my favourite. It’s easy to use with a light clutch and easy reach of the gear stick. The manual shifter has a nice feel to it too, unlike the auto. 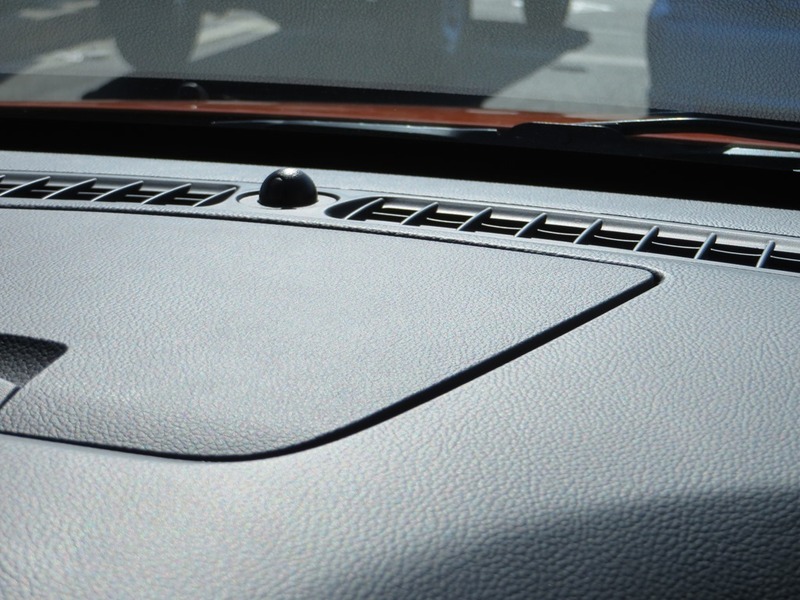 With the driver’s seat set in a comfy position the centre console bin is too high and elbow bangs are aplenty. 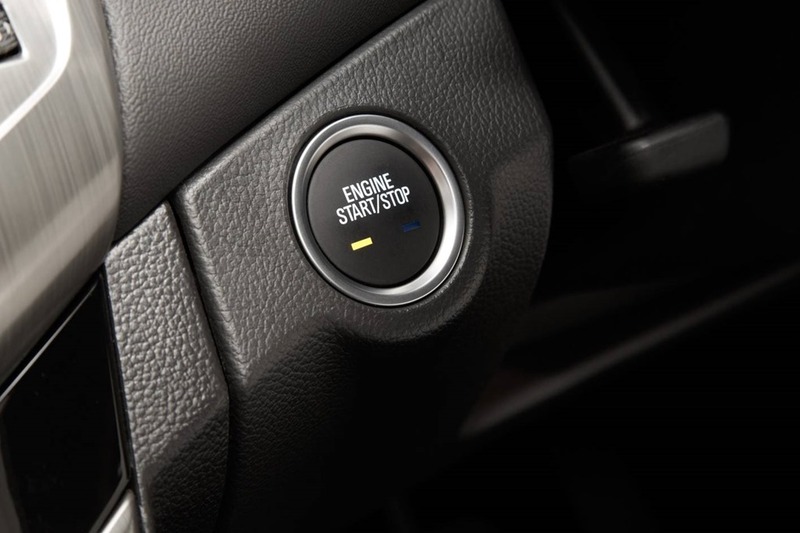 The senor key system has small buttons on the doors to lock and unlock and a button on the dash to start and stop the engine. The start button is now round and looks a thousand percent on the tacky rectangular one of the pre-update model. It isn’t immediately obvious but the audio system has been made over too. The sound quality is better and MY LINK now controls the system. It works the same way as in other Holdens although the buttons appear to be carried over from the old Cruze. I remarked last time that you can’t get your fingers to the bottom row of icons on the screen because the LCD is in a deep housing to negate glare so you have to slide your finger down it to press the radio station buttons. That problem remains. I’ve had trouble getting the voice function to work in both sedan and hatch but I’ve put this down to driver error. Clearly there is something amiss but a recent upgrade to IOS7 may be at fault. There is no Satnav which I think is a bit mean given the great infotainment system. It’s in the production models but because the test car is a rush job it misses some of the things we’d like to have seen. Whether it’s my imagination or not, the seats feel more comfortable but the driving position was always pretty good in the Cruze. 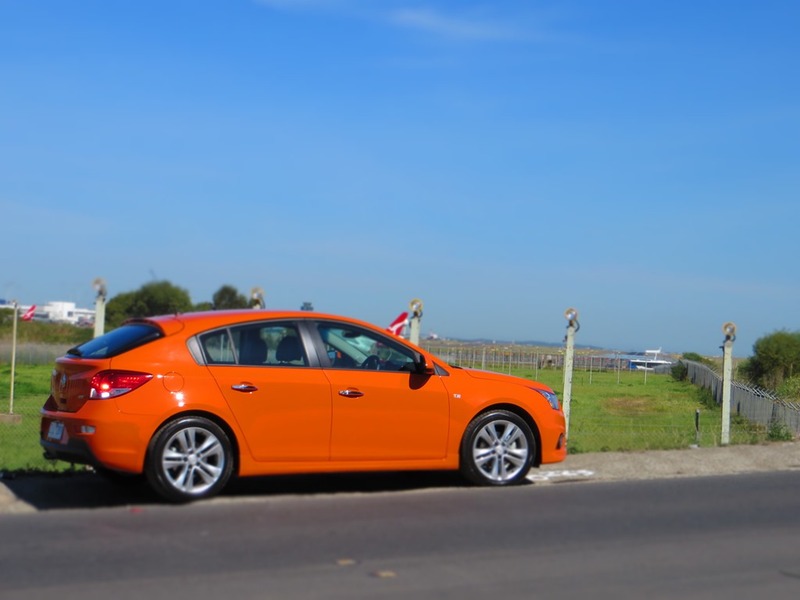 Our test cars were bright blue sedan and 70’s orange hatch, colours I haven’t seen in years but I liked them even it is simply to relive fond memories. 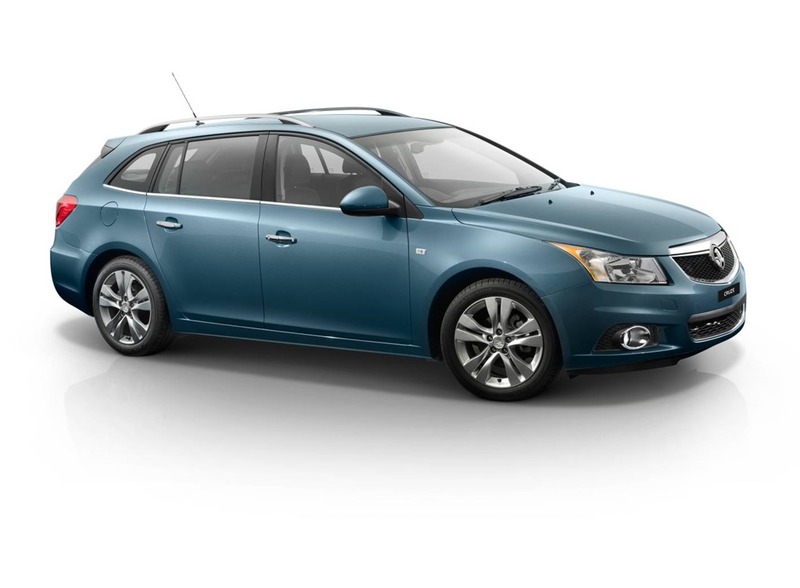 Cruze benefits from larger wheels and the SRiV has 18” alloys, but I thought Holden could have chosen more adventurous design. Keep in mind the lower the profile of the tyre the harder the ride. 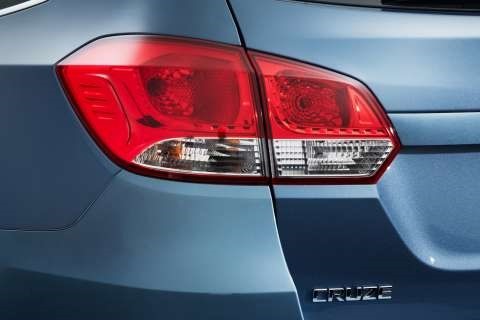 The locally made Cruzes have suspension modifications as per the specs below. 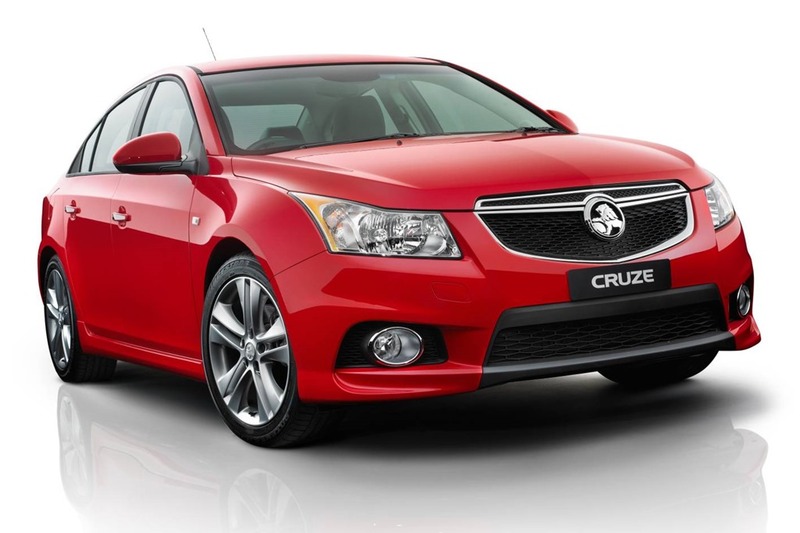 The Cruze SRi and SRi-V features a locally-tuned, unique-for-Australia sports suspension incorporating a Watts Link. 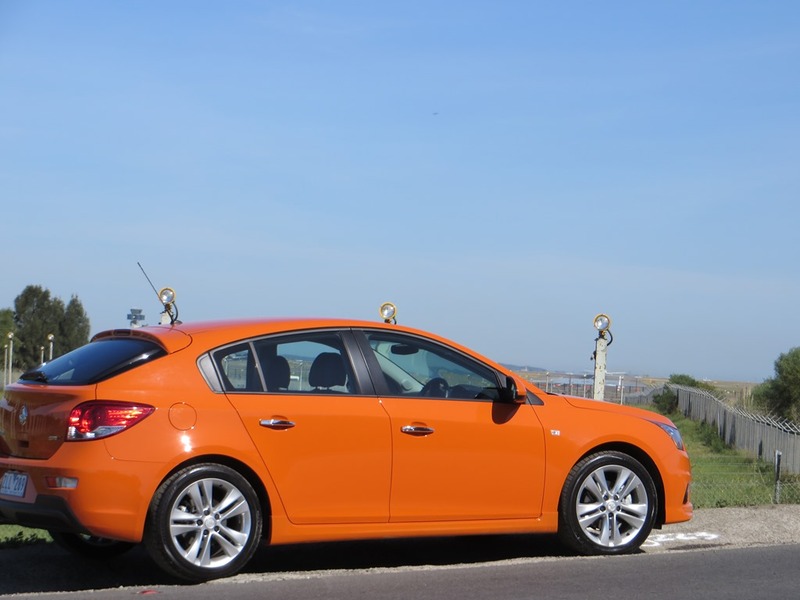 The sports tune for MY14 Cruze is based on 2 new locally tuned Bridgestone Potenza sport tyres. A 17” for the SRi and an 18” for the SRi-V.
· A stiffer rear twist beam to better optimise mid corner grip and balance. 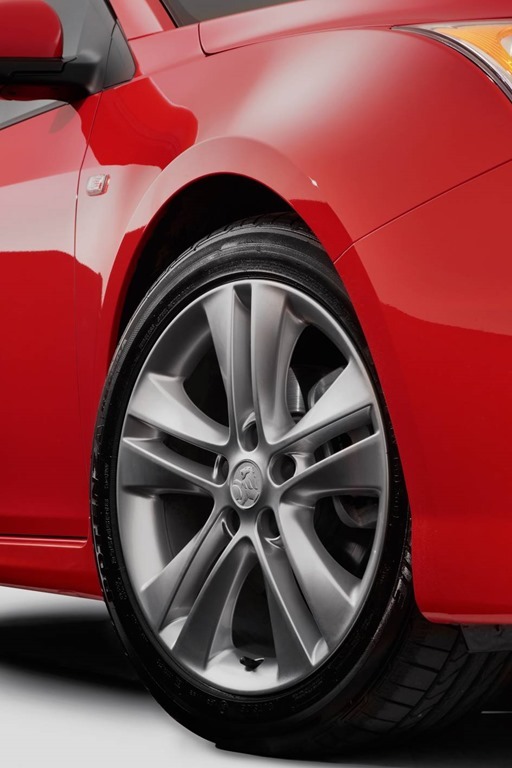 · Stiffer and lower springs than on other models in line with the sports tune, lowered to account for the larger sports tyres. · An internal rebound spring in the front strut providing crisper steering response, increased roll stiffness and aids vertical motion control. · Strut and shock tune to achieve the performance target of this vehicle. · A shorter rear shock bump stop to preserve rear suspension travel, mostly needed for when the car is laden. The compound crank rear axle provides packaging and mass benefits as well as superior wheel camber stiffness. Carried on a small cross-member attached to the underbody, the Watt’s link sits just behind the rear-wheel centre line and attracts cornering thrust from the tyres with minimal deflection. 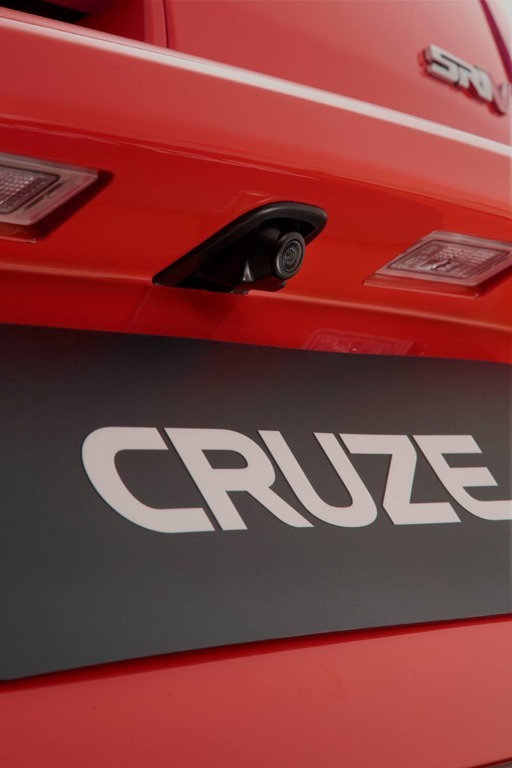 This further reduces vehicle response time and helps provide crisp steering response. The star of the SRiV is the 1.6 Turbo under the bonnet. 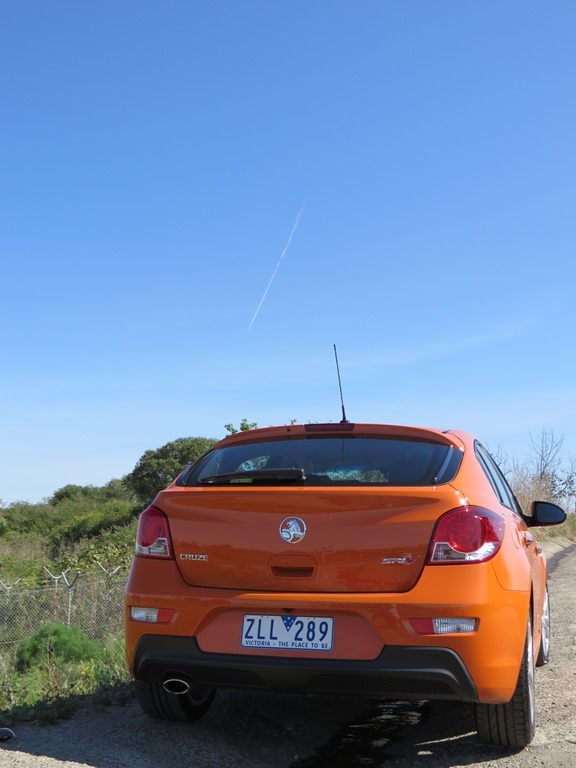 Holden increased the output but 1/3 and is now at 132 KW and 230Nm. 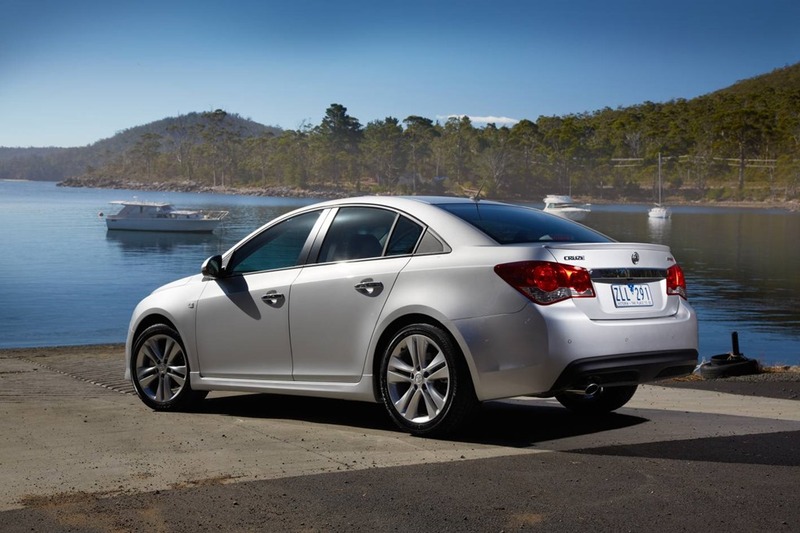 Holden claim combined cycle of 7.4 and 7.9 L/100k. Because these figures are achieved by men in white coats, it’s unlikely you will get this in your own driving conditions, and we certainly didn’t. The top model felt alive and nimble, all the things the other models aren’t. I found myself relaxing into a pleasant drive and my previous reservations gradually disappeared. The cabin still feels plasticky but the ease of which Cruze can be thrown around in city traffic makes that fade. Another strange thing is that I flux between liking the hatch more than the hatch, then back again. The sedan looks heavy in the back end and I don’t like the light clusters at either end of the car. The hatch would look much better with the shooting brake treatment that BMW and Volvo gave their baby models. 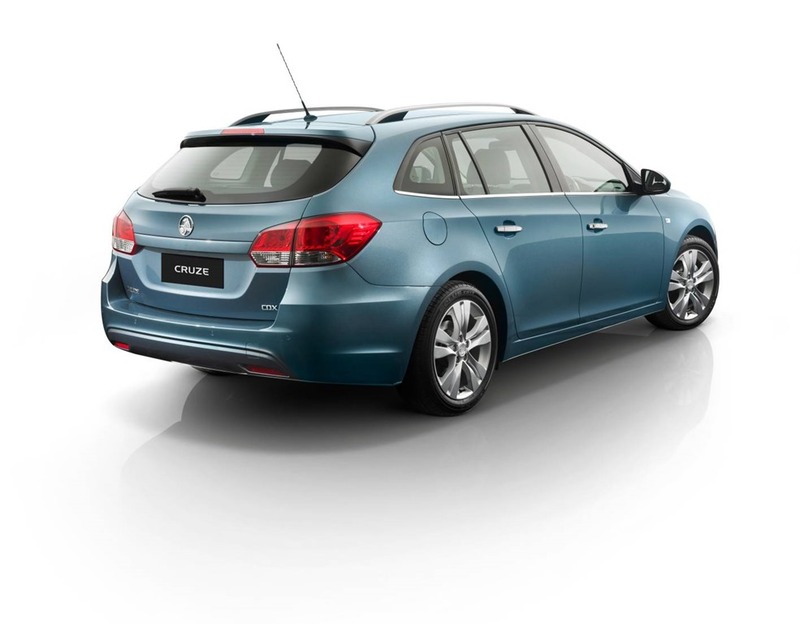 The rear window stands more upright almost like a sports wagon but with a shorter overhang. Perhaps we might score that in the next model. The price range is from $20,000 base model to $30,800 for the SRiV with bells and whistles. 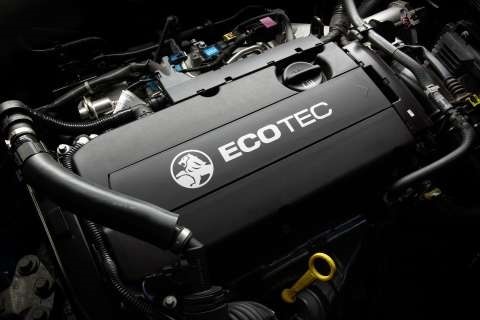 With that you get better handling, interior, and a much higher trim level, but above all, more power. The SRiV would be the only model I would consider. This is the moment where I answer the burning question: would I buy one? No, I would buy a Ford Focus. 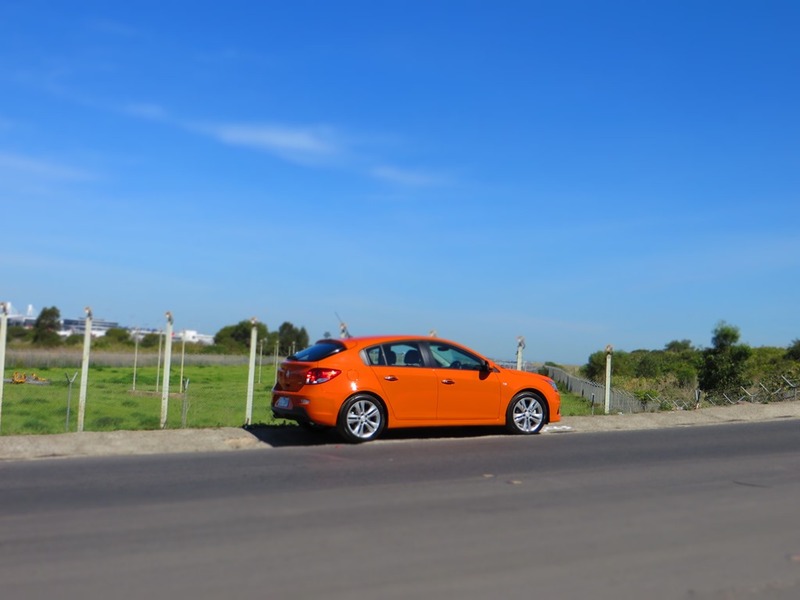 Although the Sport model ($26k) lacks some of the function of the Cruze, the drive, appearance and interior all superior and for this reason the Focus is the top selling car worldwide. The 6-speed manual transmission is manufactured in Aspern, Austria; the 5-speed manual transmission is manufactured in Gunsan, South Korea; the 6-speed Gen 2 automatic transmission is manufactured in Boryeong, South Korea.